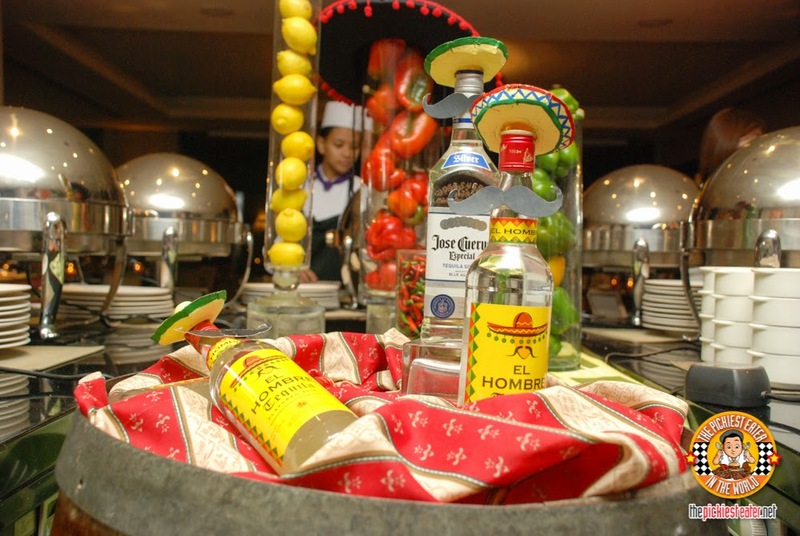 THE PICKIEST EATER IN THE WORLD: ENJOY A TEX-MEX FIESTA GRANDE AT OAKWOOD! 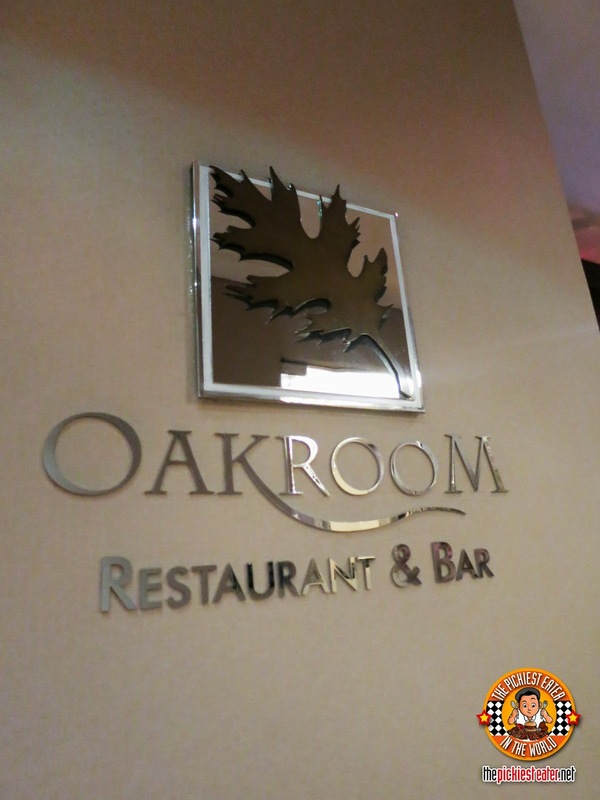 This was my second time at Oakwood's Oakroom restaurant and bar. The first time was when I was invited to try the Saturday Night Dinner 5 months ago. 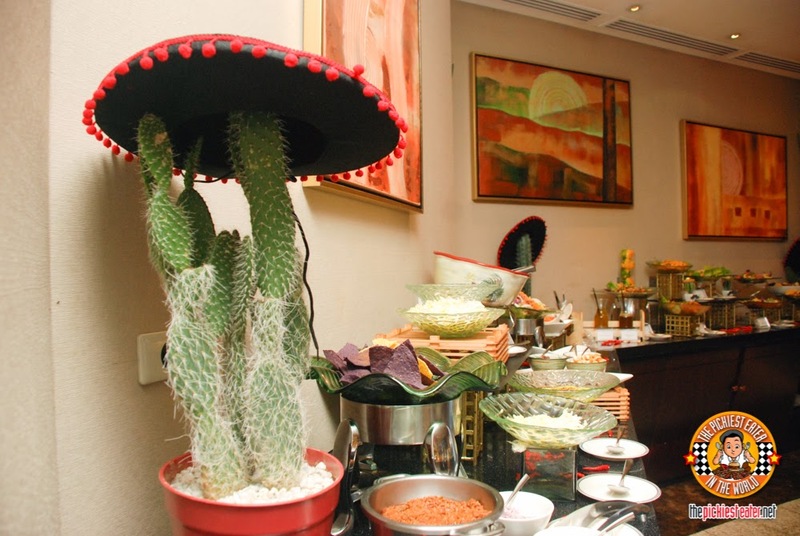 But this time, Oakroom's Buffet was dressed up in hat-wearing-cactus and some other Mexican touches. I was already half-expecting to see a live mariachi band playing hehe. 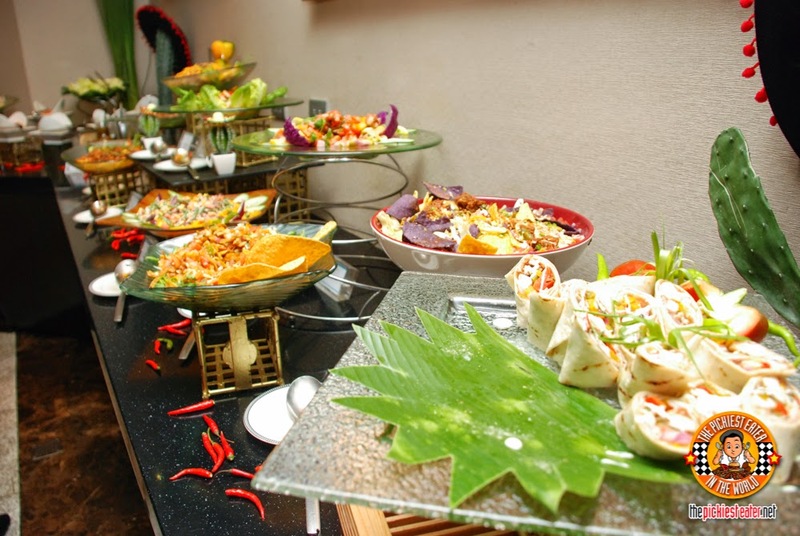 The buffet area of Oakwood is not really long, but you can be sure they serve food with good quality. 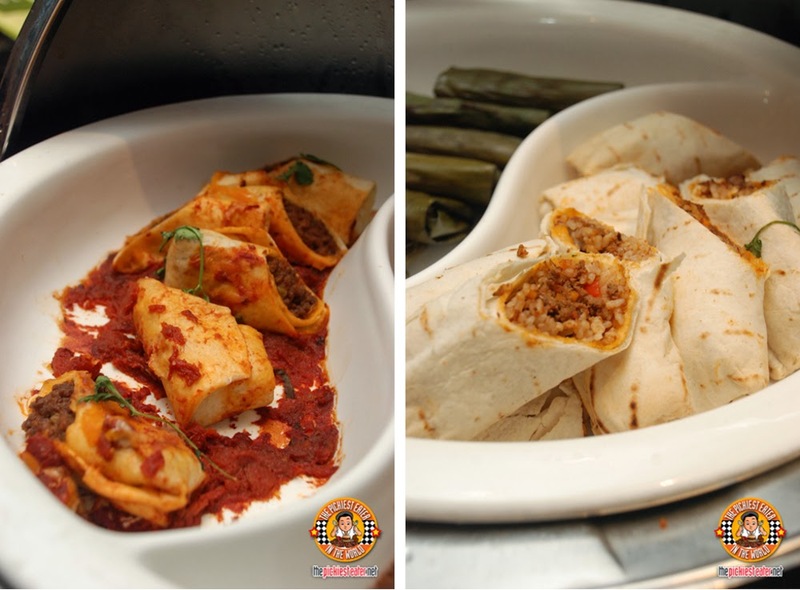 In this side of the buffet (pictured above) are where you can find your Tex-Mex appetizers like wraps and salads. 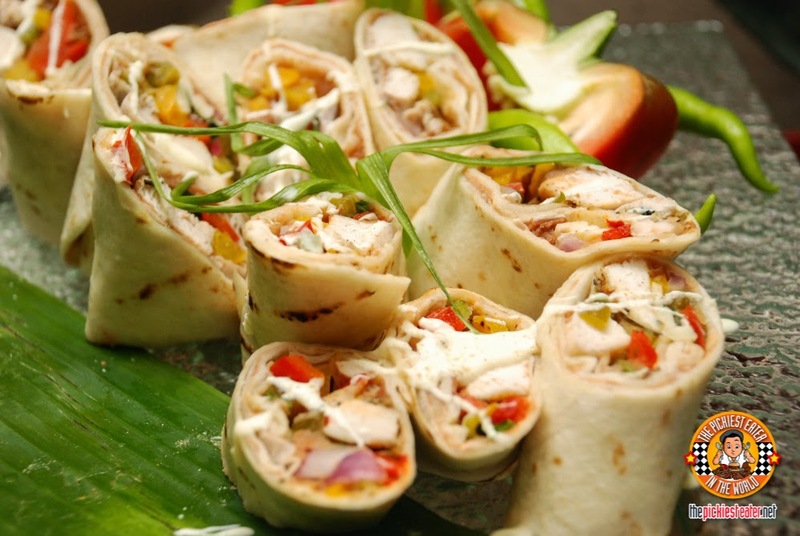 They had some Chicken Tortilla Wrap which was very fresh and tasty. 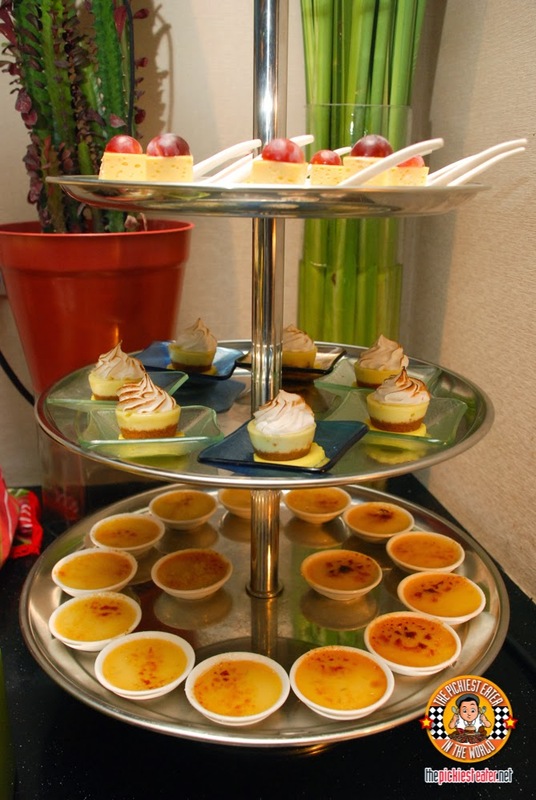 But ease up on this as you don't want to get yourself too full before tasting the main entrees. Oakwood served a number of Salads which look really appetizing to me! 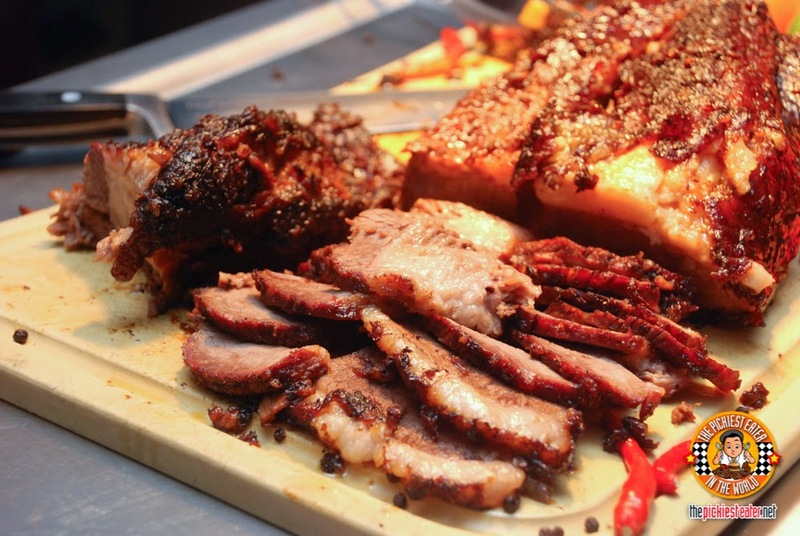 And I couldn't help but notice how abundant the meat were compared to the veggies. 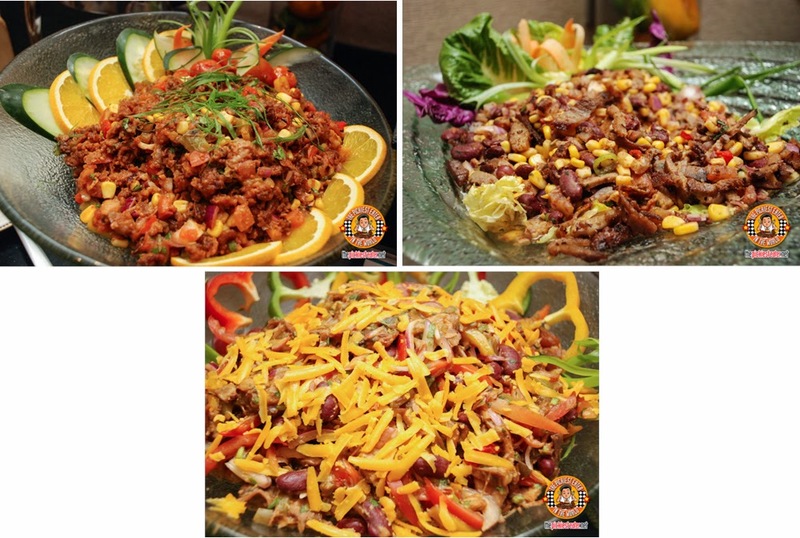 They have SantaFe Chopped Salad, the Pulled Barbecue Chicken Salad, and Pulled Barbecue Pork Salad. If you forced Richie to eat salad, this would probably be one of the salads he would consider eating (next to a salad wherein you use bacon to replace lettuce). 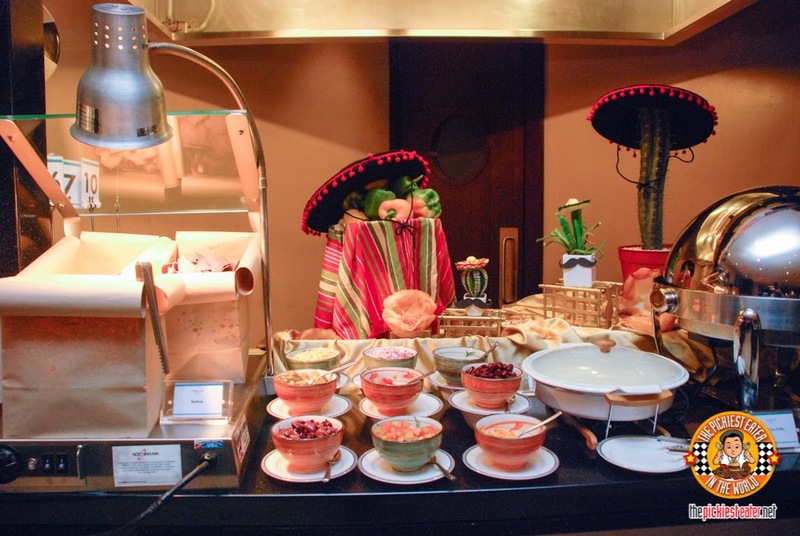 Nacho / Taco station, anyone? Pick your tortilla chips, tacos, and dips and things! Of course they have some tasty Beef chimichanga , and filling Burritos. Richie would have loved this Tequilla and Bacon Gambas if he wasn't such a picky eater refusing to eat gambas and if he didn't have a bad case of hyper acidity whenever he ate tomato-based dishes. I feel bad for him 'coz it was good. 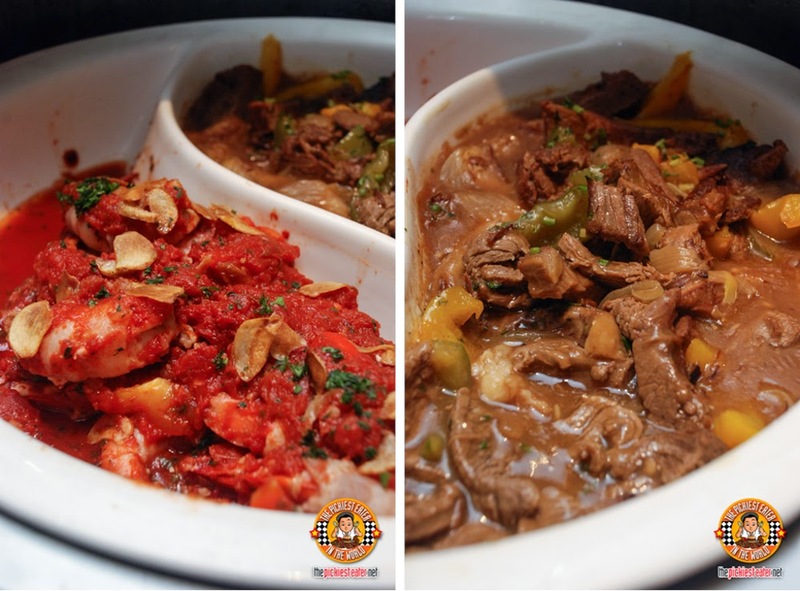 The one on the right is Corona Beef Strips which I wanted to eat rice with. Tender beef strips in a thick brown savory sauce. My kind of dish! 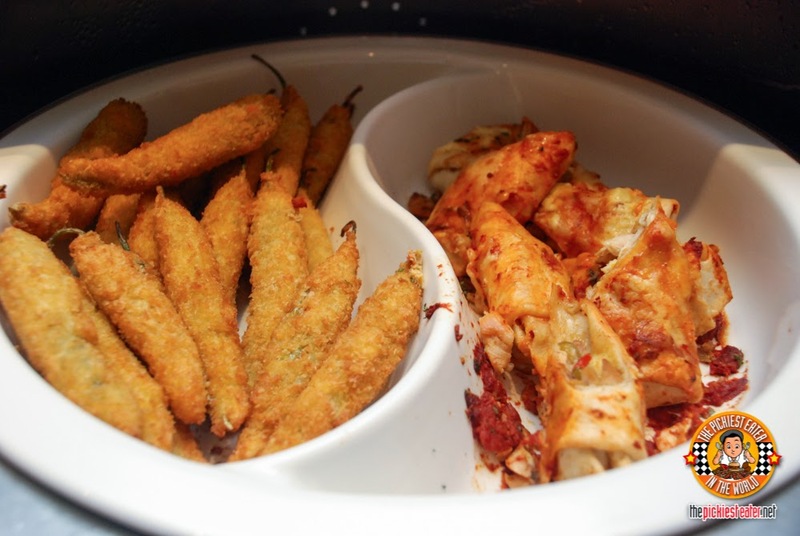 A Tex-Mex buffet would not be complete without some Jalapeno Poppers and Enchiladas. I wasn't able to try the poppers for fear that it would be too spicy for me, but I did try the enchiladas and they were a complete meal in itself. Flavors were all balanced well. It was not spicy based on my recollection. 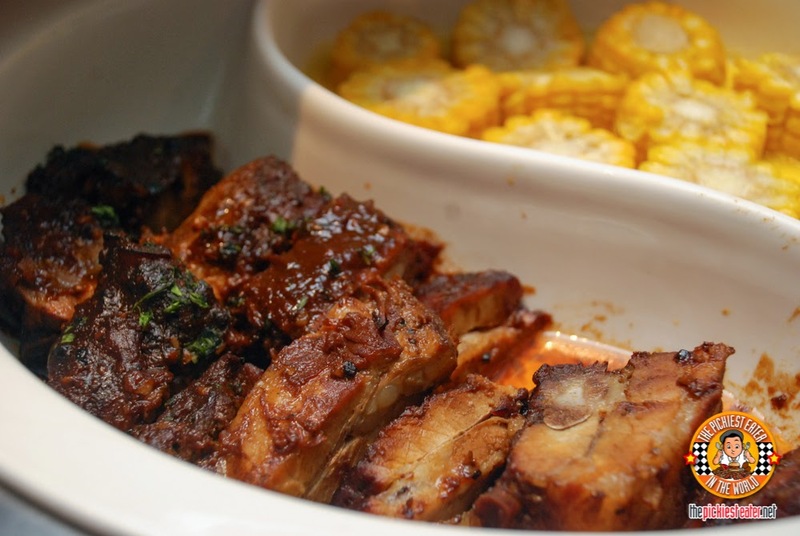 For the "Tex" part, Richie was thrilled with their Baby Back Ribs. 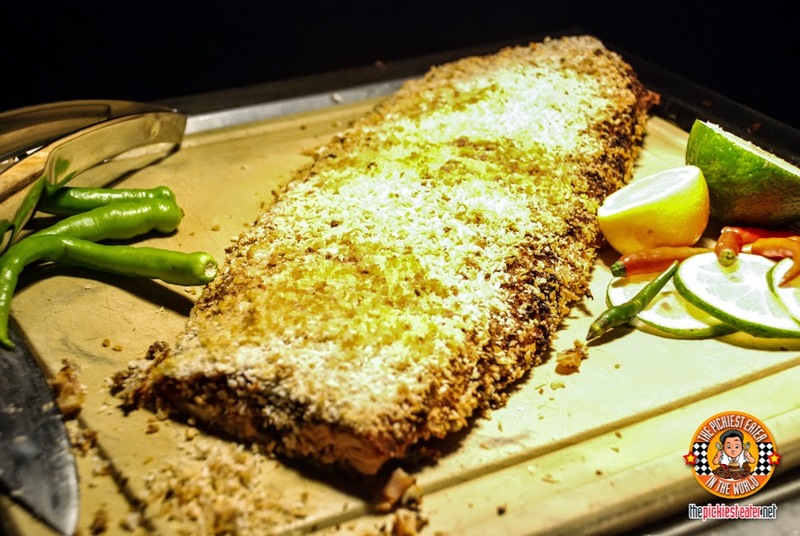 Soft and tender and really packs a lot of flavor! And as always, I enjoyed their corn on the cob! Very buttery! Richie kept coming back for their Slow Roast Beef Brisket. Aside from it being delicious, he liked the fat-to-meat ratio hehe. I on the other hand enjoyed smothering it in its sauce! I think it was aus jus? But my most favorite of all, was probably the most simple of all. This beautiful Ham. I'm a ham-lover. Really. I can eat ham and plain rice for days and I would be okay. 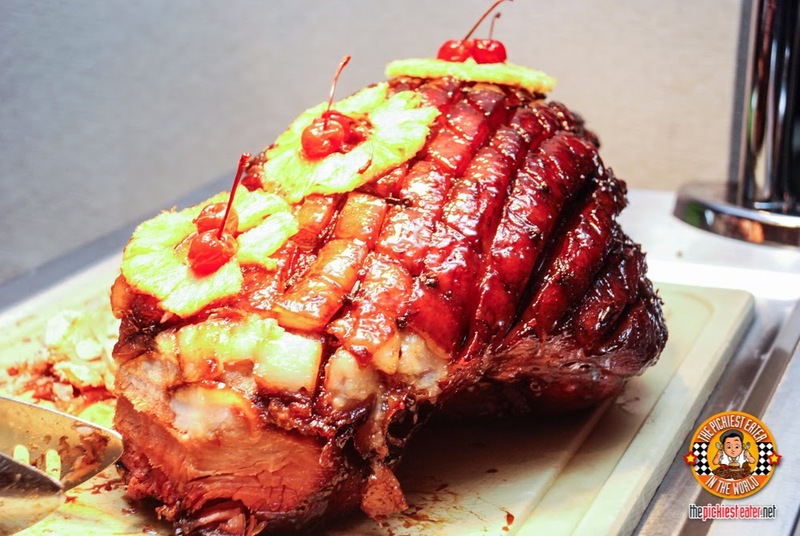 Oakwood's ham had the perfect balance of sweet and salty, and they also served it with yummy pineapple sauce. It felt like Christmas to me! Moving on to desserts! 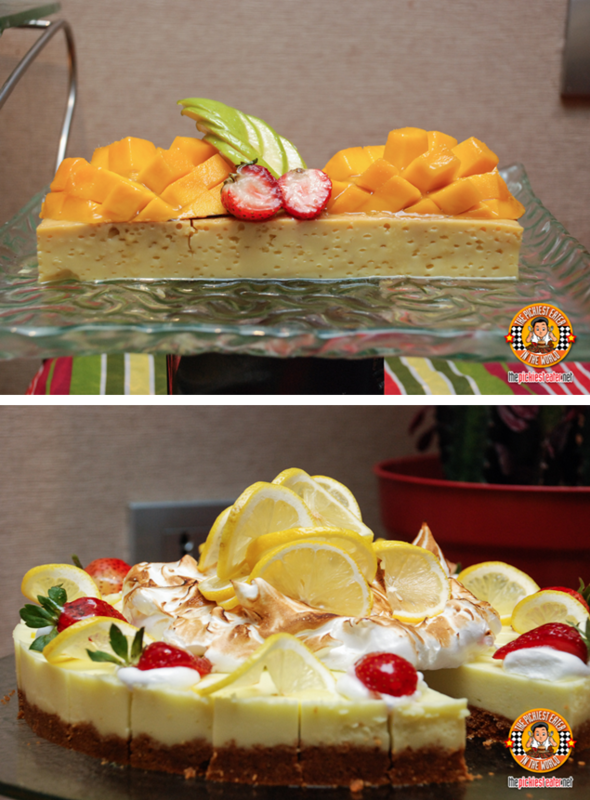 They served pretty desserts composed of some leche flan, some cheesecakes, all topped with fresh fruits. 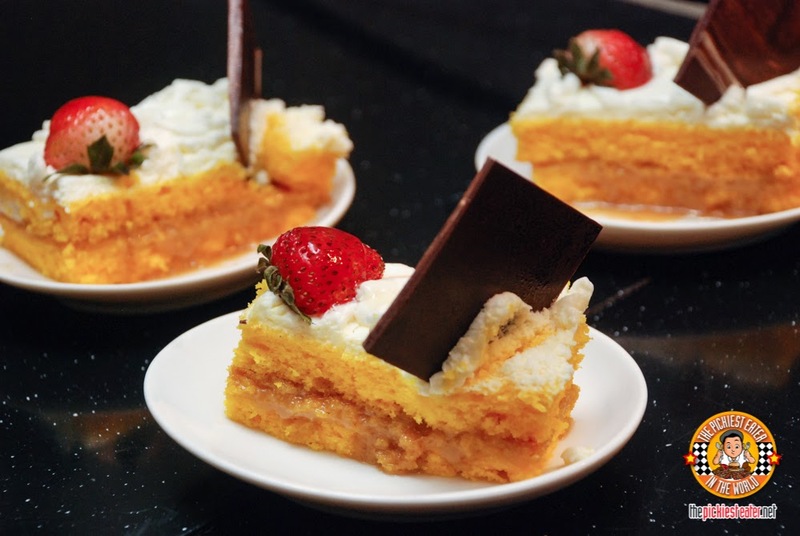 And they also had some delicious Tres Leches. 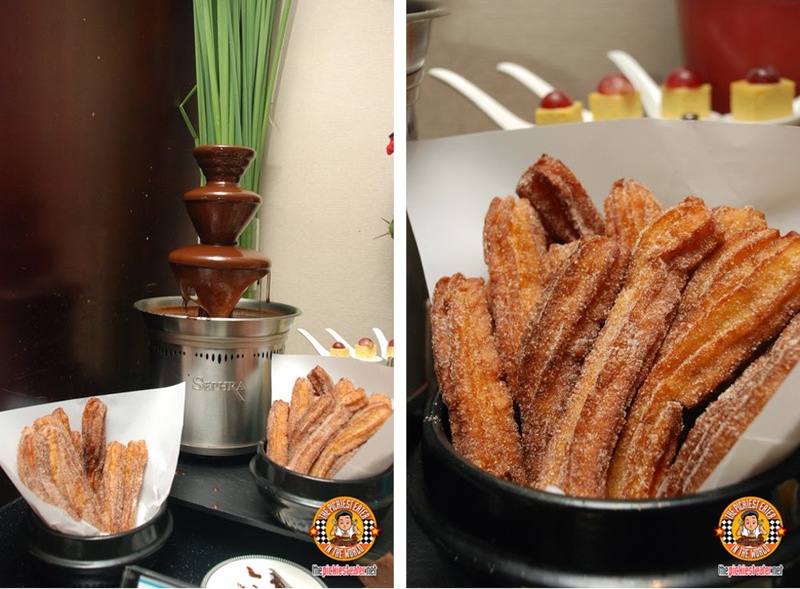 But the most tantalizing of all for me was the churros with chocolate fountain! So simple but sometimes less is more! 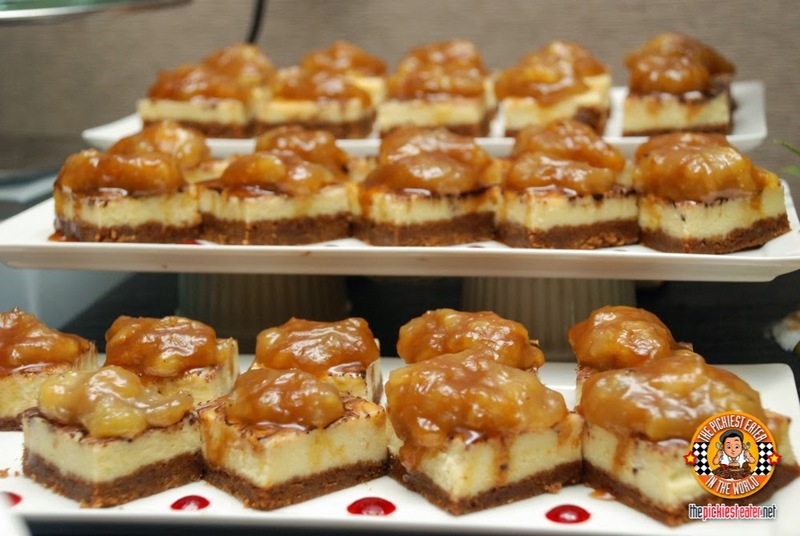 And we also loved their Banana Cheese Cake. I think I like this the best, actually. 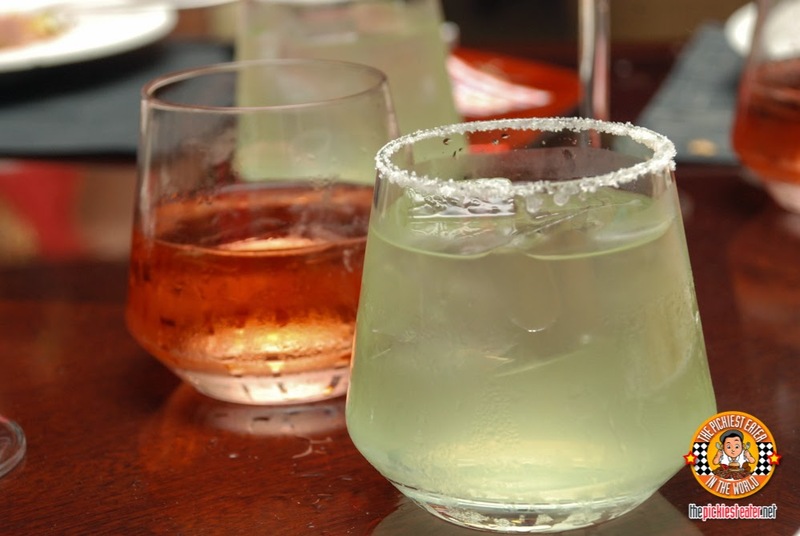 So this Friday, you can head on to Oakroom after work starting at from 6:00 pm to 10:00 pm for this fun Tex Mex Fiesta Grande! Only PHP 990+++ per person. For reservations, please call 63.2.637.7888 or email premiermanila@oakwoodasia.com.